Car tuning should not end with a transformation only appearance. Special attention should be given to the drive unit. The easiest option is to install a 16-ticklepenny the cylinder head. But you can install a motor with cars or newer Frets. VAZ-2109 at the time was a very popular car. Robust motor, sturdy body, attractive appearance. And the car itself was created with the participation of designers from the famous car company Porsche. But today, when power is not enough, it makes you wonder about the tuning of the motor. But it is necessary to increase capacity? What to consider when replacing the engine? For some time now Russia has a law according to which during registration of the car required the engine number. The motor is now considered just a replacement part that can be replaced like an air filter or bursting of the tire. This law prompted the fans of tuning to the improvement of their cars. Ideal for "nine" is, of course, the same engine. But in the case when undergoing a complete modernization of the machine, its capacity will be insufficient. The most appropriate option would be a 16-ticklepenny engine VAZ-2112, and which horses more, and the design is newer. And on such a motor can safely install the a / C compressor, and your car will be fresh and cool even in the terrible heat. On a standard engine, "nine", even with a volume of 1.5 liters, install air conditioning, too, can only be noticeable apparent lack of horses. Everything else will have to replace the alternator, as the power of the consumers increases. The good thing is that the engine VAZ-2112 is joined with a box of nines. 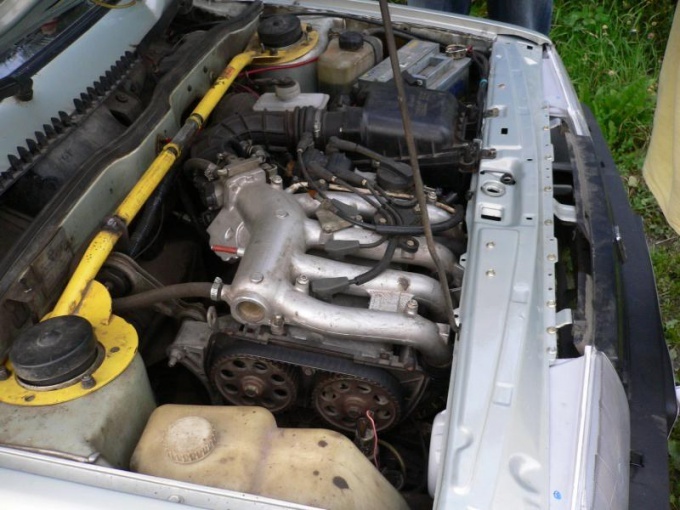 Also a good option for tuning is to install the engine with the "priors", a more modern model of "Lada". As for foreign engines, motor Hyundai Accent beautifully set under the hood nines, only desirable and transmission to take "Accent". With "Opel vektra" also the power unit is suitable for tuning. You increase the power of the motor. Consequently, in the braking system to use a more durable pads and rotors. The ideal option will also replace a rear drum to disk brake. Changes should be in the cooling system. Install the radiator, which is designed for the new engine. It is possible that the volume of the cooling radiator VAZ-2109 will not be enough. Whatever it was, but the documents on the engine you should have. If buying it second-hand, ask the seller of the document confirming the right of ownership. Do not buy a motor of unknown origin, as it can be removed from the car, which is registered in the hijacking. If you buy a contract engine, the firm-seller will provide you with a guarantee, and a full package of documents. And here registration of alteration in the traffic police – it depends entirely on your desire. The ideal option is to contact the police with a request to produce the design of a new engine.